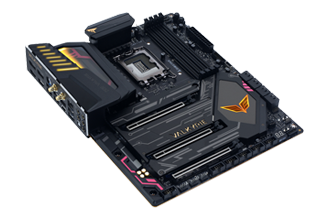 BIOSTAR, is a brand dedicated to the production of motherboards, graphics cards, industrial computing systems, IoT, crypto mining equipment, and healthcare solution. Since its establishment in 1986, the BIOSTAR GROUP has become a major motherboard supplier in the IT industry as well as in IoT, Internet of Things. In order to pursue the best quality and aesthetic design, BIOSTAR has invested heavily in ID design, equipment, global marketing research as well as R & D. With a constant emphasis on quality, BIOSTAR always seeks to beyond better and race to the future.